The Arikaree Breaks are a finalist for the 8 Wonders of Kansas because the deep canyons make this a distinct and scenically dramatic part of Kansas! The Arikaree Breaks are a rugged landscape of canyons that have formed in a type of windblown silt called loess. In general, this loess was deposited by the wind during the past few million years. Loess is often rich in clay minerals, which allows these deposits to hold together and form a steep face. Thus, as water erodes away loess deposits, they often form steep-sided canyons, an environment that is especially noticeable here. 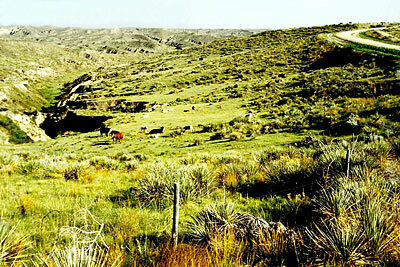 The Arikaree Breaks are covered by short-grass prairie, particularly buffalo grass, and, in places, yucca plants and prickly pear cactus. This is a relatively arid area; average annual precipitation is less than 20 inches per year. Its elevation, more than 3,000 feet above sea level, along with its location on the northern edge of the state, combine to make this one of the colder parts of the state. 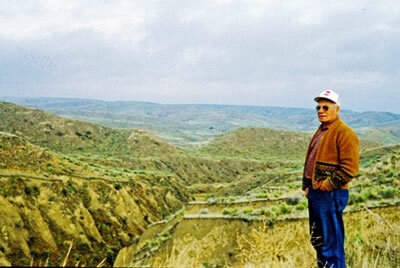 The deep ravines and gullies are a marked contrast to the plains generally associated with the area. The human environment is also featured in the Arikaree Breaks. A driving tour takes visitors past the location of the Cherry Creek Encampment and other sites associated with the Sand Creek Massacre, rural schools, cemeteries, and post offices. Location: Head north from the Benton and Washington intersection in St. Francis, cross the Republican River bridge, and turn right at the first fork. 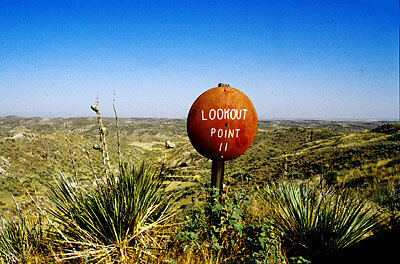 Watch for the numbered red-disk signs as you head north into Nebraska on Road 15 (unpaved). In Nebraska, go west on U.S. 34 to Haigler and turn south to K-27. One of the most outstanding views is about 14 miles north of St. Francis. Self-guided tour brochure: Stop at the St. Francis Rest Area Information Kiosk, 219 W. U.S. Business Highway 36, St. Francis. Many local businesses also have copies of the brochure.